For almost three weeks now, The Turret at Wilfrid Laurier University has been inching towards the final, closing stages of its construction and will be officially opening for public use by January of next year. It has, however, opened its doors for a “soft open,” for smaller-scale events and for use by clubs and associations, to get a better understanding of how the new space will operate, as well as what storage solutions will and will not work in the future. It gives the opportunity for members of the Students’ Union, like Phil Champagne, executive director and chief operating officer (COO) to ask questions about how The Turret will be accommodating these new kinds of events. “When we do something in the full room, what do we do with all the furniture? Is there room in storage for all the furniture? Do we have to hide it somewhere? What does that look like?” Champagne said. But as far as a grand opening for The Turret for public use may still be a number of months away. 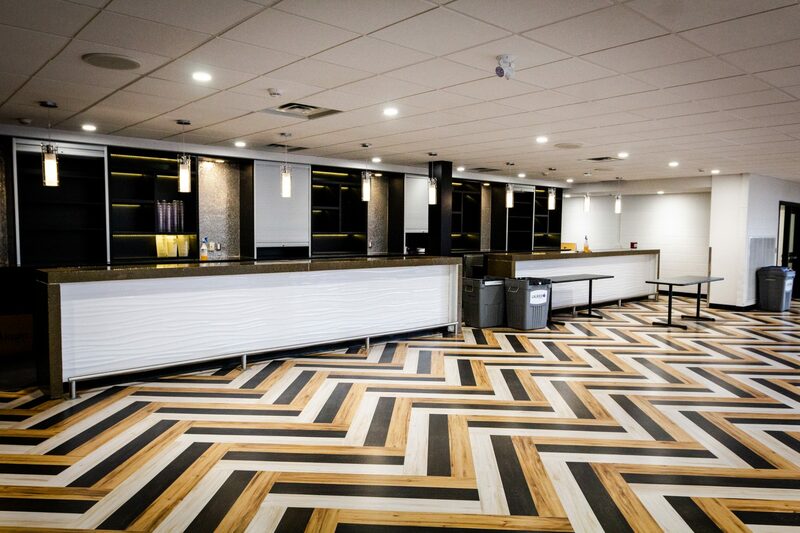 Unofficially, the final opening is set for January, which will allow the Students’ Union to have a couple of months of utilizing and organizing the space. One of the first challenges will be in terms of being able to use the room in a variety of different functions and fully understanding this newly-renovated space, before its full launch for the students and the community at large. The construction on the space has been a long journey. According to a letter from Kanwar Brar, the former president and CEO of the Students’ Union, the construction began on May 1, 2018, but surpassed both the expected and revised dates for the construction’s scheduled conclusion. For the last few weeks, the Students’ Union has been focusing on fixing “deficiencies,” such as some lighting and cosmetic issues — things that may have been missed or done poorly, that need to be re-done. However, in that time, they have still had a number of club and association events in the space. “The A-Team had their event, they had Euchre night yesterday — the Lazaridis Students’ Society event happened last week. This weekend is the Orientation Week volunteer appreciation event,” Champagne said. As far as the general feelings towards the nearing conclusion of this project, Champagne expresses that it is generally one of excitement. “It is pretty dramatic … [and] the idea is to have as much student space accessible as possible,” Champagne said.